Serving Regina and surrounding area since 2002, Floors By Design works with some of the city’s leading builders, contractors + designers to create beautiful and functional spaces. With an extensive showroom featuring industry leaders in tile, mosaics, carpet, hardwood, laminate, vinyl, area rugs, window coverings and much more. G.R. 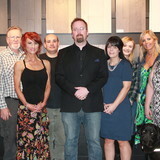 Flooring is a family owned and operated business based in Regina, Saskatchewan. In 1980 Ghislain Richard began the company. Since then, his son Michael Richard has joined Ghislain to continue the mission of providing superior quality products to their customers. 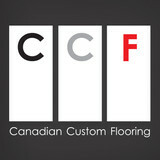 We are proud to provide first-rate flooring to customers all across Canada and into the Northern United States. Our head office remains in Regina where we began. We carry the finest flooring in terms of quality, value, and price for each of our segments. It is extremely important for us to have an excellent working relationship with our partners across Canada. In doing so, we strive to ensure our lines are not over or under sold. We only work with the best! The beautiful guarantee, we promise you'll love the way your new floor looks or we'll replace it for free! Parkland Carpet One Floor & Home promises you'll love the way your new floor looks or we'll replace it for free - including installation. With 30 years experience we stand firm behind this guarantee. We are located at the corner of 8th Avenue and Halifax Street in Regina and are locally owned and operated. We'll work together to find the flooring that is right for you. 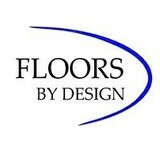 We work closely with over 900 stores and we can get the lowest prices from the best flooring manufacturers. Our experts are trained to ask the right questions and are fully prepared to help guide you through the selection process. Call, go online or stop in today to make an appointment for a free consultation. At Parkland Carpet One, flooring is our first language! Caltec Flooring Ltd. provides both commercial and residential flooring. We supply and install everything from tile, carpet, laminate, and hardwoods in the Regina and surrounding area. Carpet dealers in Richardson, SK help homeowners choose the correct carpet covering for their floors, and also assist with carpet maintenance. This includes determining factors like material, carpet pile, durability, color and size, as well as helping with any custom carpet design. After completing the initial installation (which includes removal of the old flooring, if applicable, and surface prep), they may also handle follow-up maintenance requests such as carpet cleaning, carpet repair and carpet stretching. Carpet dealers might work closely with Saskatchewan contractors, interior designers and others in the home building and home improvement industry. Here are some related professionals and vendors to complement the work of carpet dealers: Interior Designers & Decorators, Design-Build Firms, Specialty Contractors, General Contractors, Home Builders. Find a carpet dealer on Houzz. Narrow your search in the Professionals section of the website to carpet dealers in Richardson, SK, and read reviews and ratings for pros in your area.